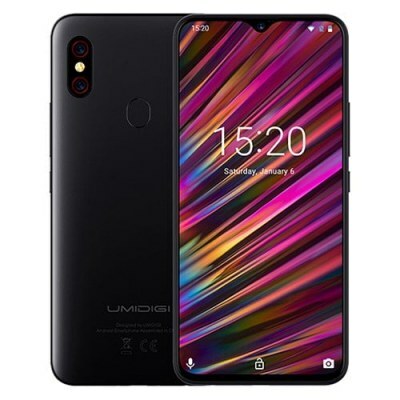 UMIDIGI F1 Play, China’s newest large mobile phone from UMIDIGI of the year 2019. With the most important features like the Helio P60 KI processor, the waterdrop full screen display, 64 GB ROM and the 5150 mAh large battery. 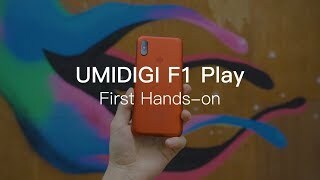 F1 Play can be said to be an upgraded version of the previous version of UMIDIGI F1. It comes with the MTK Helio P60 KI processor, launched in 2018 and manufactured in 12nm technology. In AnTuTu, the smartphone achieves around 140,000 points, which is ideal for demanding games like PUBG. The phone has 64 GB ROM and 6 GB LPDDR4X RAM. The extensive memory capacity is perfect for all life situations. The UMIDIGI F1 Play also surprises, because it comes with a huge 5150 mAh battery with 18 watt fast charge function and NFC. Despite the large battery, the device is only 8.8 mm thick. The F1 is the first UMIDIGI mobile phone to run with the latest Android 9 pie operating system. The F1 features a 6.3-inch FullHD+ full screen LTPS display with water drop notch, 2340×1080 pixel resolution, 409 PPI and modern 19.5:9 format. The tiny Notch design and narrow bottom edge allow the display to be expanded to achieve a screen-to-case ratio of 92.7 percent, which is pretty impressive. UMIDIGI is not the first time to use a 48.0MP camera, This can be found on their previous phone model, the S3 Pro. For photos and snapshots, the F1 is equipped with a dual main camera on the back with 48 MP + 8 MP and a large f/1.7 aperture. This means it offers excellent bokeh effects and bright images at night. And the front camera is a high-resolution 16.0MP self-cam that delivers clearer, more beautiful selfies and better video calls. We continue to list the rest of the premium equipment. The F1 also features Dual 4G VoLTE, global mobiles tapes, face unlock and fingerprint sensor. And it has a chic, sleek design in three colors: red, black and gold.